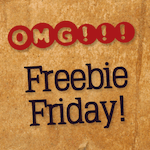 Freebie Friday “WWII” Edition: Win a Free Redbox Gift Card! This weekend marks the solemn remembrances of the attack on Pearl Harbor, which drew the U.S. into World War II. Let’s talk about the best movies that have been made about the war. What’s the best World War II movie ever made? There are so many great options here: Saving Private Ryan, The Longest Day, Tora! Tora! Tora!, Bridge on the River Kwai, Patton, Hacksaw Ridge, and many more. What’s your fave? I think Saving Private Ryan is the BEST! Hacksaw Ridge most recently and Saving Private Ryan both great.